This hypnosis session will help you get to sleep, and stay asleep. It contains a soothing hypnotic voice, binaural beats, relaxing music and rainforest sounds to help you drift away into slumber. The recording is guided by voice for the first 45 minutes, and then concludes for 20 minutes with only the background music, as the binaurals progress down into the Delta realm. It can be used with great effect to promote an overwhelming sense of relaxation to induce sleep whilst you listen, and to also reprogram bad sleeping patterns into good ones for the future. Confusion technique - this is a hypnotic method of distracting the conscious mind, the part of the mind that over thinks, stresses and often stops you from sleeping. By distracting the conscious mind, you can switch off all these thoughts, and start lowering yourself into sleep/trance. Suggestions/metaphors – by now you should be asleep, and this is OK, as your subconscious is still receptive. In this part of the recording the new patterns and techniques are introduced to you on a subconscious level to help instigate permanent change for better sleeping patterns. Deepener – to take you into the depths of high REM sleep, which is known as Delta brainwaves. This is the final guided instructions spoken. Quiet space – for the last 20 minutes of this recording there is no speaking, as you are left with the binaural beats, relaxing music and rainforest sounds to keep you in the depths of a satisfying slumber. 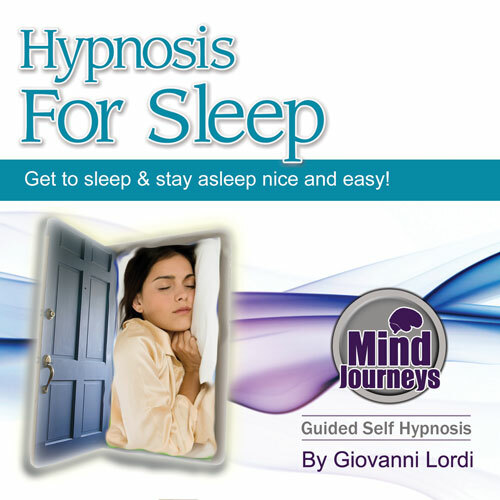 Unlike most of the other hypnosis MP3s, there is no 'Wake Up' on this session. The 'wake up' is the spoken part at the end which usually instructs you to wake up and finish the session if you need to, or to remain asleep if you don't. Seeing as this MP3 is for sleeping, there is no 'wake up' so you can continue to sleep. For this reason – this recording is best used just before and whilst you sleep. In the background you will hear a feint pulsating sound. These are the binaural beats, and are there to strengthen the hypnotic effect. On this MP3, the binaurals begin at 5Hz which is a mid theta level, and progress all the way down to 2Hz Delta, which is the state of the brain whilst in a deep sleep. This will lead your mind effortlessly into the sleep realm.